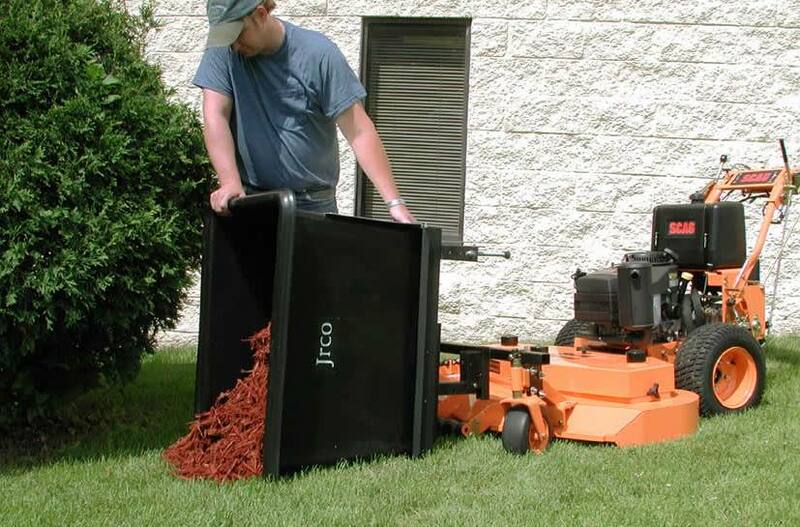 The JRCO Transporter uses the mower's power to transport landscape materials, grass or leaf clippings, lawn debris or landscape equipment. The transporter tray can be positioned for maximum visibility and easy dumping. 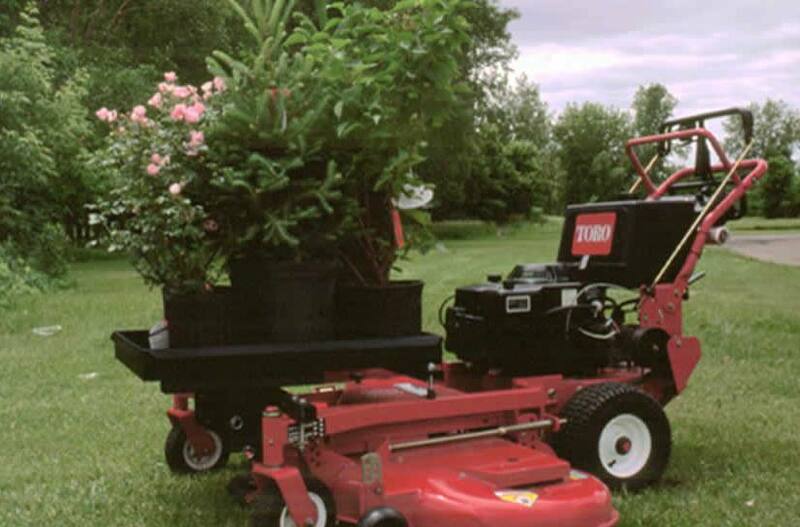 The Transporter is great for storing clippings from a grass catcher while mowing, eliminating trips to dump the catcher. Various containers can be secured to the tray for transporting. 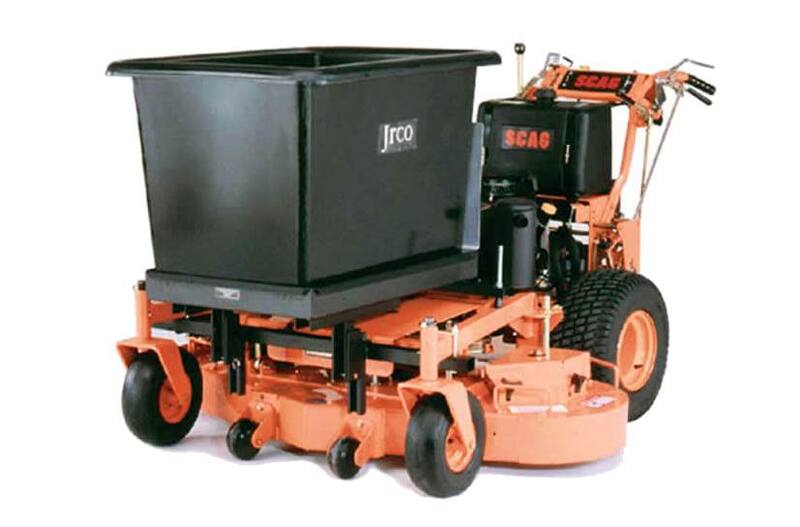 Model 490 Transporter tray, available with an optional 56 gallon black polyethylene tub and optional heat deflector, attaches to the JRCO mount bar with clevis pins. Tray Shipping Weight: 39 lbs. Tub Shipping Weight: 30 lbs. Optional Tub: 56 gal., 7.5 cu.ft. Tray: 39 lb. ; Tub: 30 lb.